I was born in Essex, where I was educated. Due to a job relocation I moved to Norfolk, where my three children were raised. Following my divorce I remarried and moved to Cornwall in 1989. I am now living in the Truro area and have been widowed since 2011. I ran my own Heavy Commercial Garage in Norfolk, which I sold when I moved to Cornwall. I have served as a Councillor on Newquay Town Council and Restormel Borough Council for 12 years, serving on both councils as the Mayor. I have helped in a volunteer capacity with Newquay Victim Support and Newquay Gateway Club, been a Governor with Trenance Learning Academy in Newquay, and a member of both Newquay Towan Blystra Lions and Truro Lions Club. 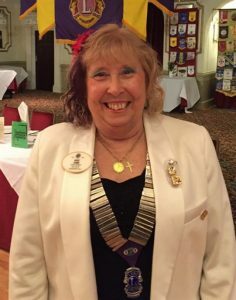 In the Lions I have progressed, being Club President, Secretary and Treasurer, Zone Chairman and recently I served as District Governor for the South West. At present I am the District Treasurer for the Lions Clubs of the South West. I was also a Board Member for the Ocean Housing Group for 17 years and have recently retired from the role.